The last time the Chicago Bears have hired a head coach with prior head coaching experience? 1958. Who was the coach? None other than George Halas. 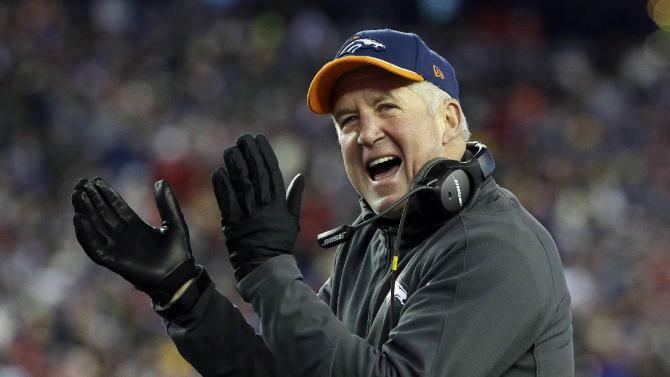 Well that interesting trend has concluded as the new head coach of the Bears will be John Fox, as first reported by Mike Klis of the Denver Post. Fox "parted ways" with the Broncos on Monday and now he'll be replacing Marc Trestman in taking over a Chicago club that was a major disappointment in 2014. Can he be the guy to turn the program around? Is Cardale Jones making a mistake not entering the NFL Draft? Cardale Jones has certainly had an interesting couple of months. This time in November, Jones was perhaps only known for that silly tweet he made a couple of years ago. All of a sudden J.T. Barrett goes down with an ankle injury against Michigan and Jones took the reins and then went on to lead them to the national championship. Not too bad for somebody that not too terribly long ago was a third-string quarterback. Now given that at the moment Barrett and Braxton Miller, the starter before suffering a shoulder injury and being lost of the season, are seemingly returning to Columbus, many were expecting Jones, a redshirt sophomore, to enter the NFL Draft. However, Jones decided to return to OSU on Thursday. Is his decision a mistake? The 49ers were the least surprising team to make a coaching change, and yet still is pretty darn surprising in the end.We all knew that Jim Harbaugh had significant issues with GM Trent Baalke and it seemed like he was a dead man walking even before the season started but given the great amount of success Harbaugh had with the franchise, it still is puzzling that it ultimately did not work out. 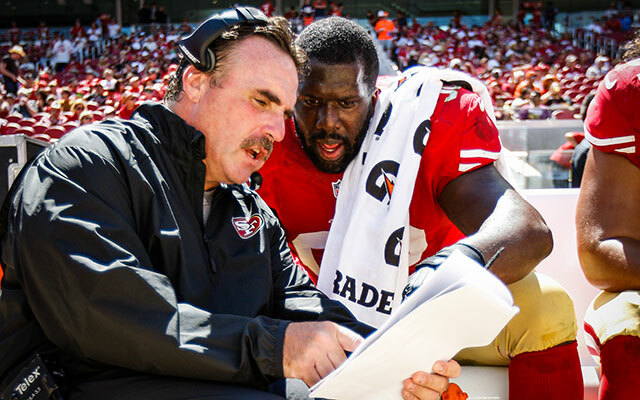 Alas, the franchise has moved on and they will move on by promoting from within as they have made defensive line coach Jim Tomsula the head guy. The story was first broken by (guess who) Adam Schefter. It only was a season ago that the 49ers were in their third straight NFC title game, can Tomsula get the club back to that point. Here's my analysis. Another team bites the dust in the NFL coaching carousel and it perhaps the most dysfunctional of them all: the Oakland Raiders. Their new head guy is Jack Del Rio, as first reported by the dynamo that is Adam Schefter. Del Rio, who is an Alameda County native, comes to the Raiders from the Broncos where he has served as defensive coordinator since 2012 after serving over eight years as the head coach of the Jacksonville Jaguars. Del Rio is the ninth head coach in Oakland since Jon Gruden was dealt to the Buccaneers in 2002 but can he be the guy to lead the Silver and Black back to the playoffs for the first time since then? After a wild Divisional weekend, there are now only four teams left that still have their dreams of winning the Lombardi Trophy alive. It is down to the Packers and the Seahawks for the George Halas Trophy, and the Colts and the Patriots for the Lamar Hunt Trophy. Who will advance to Glendale for Super Bowl XLIX? Here are my picks. 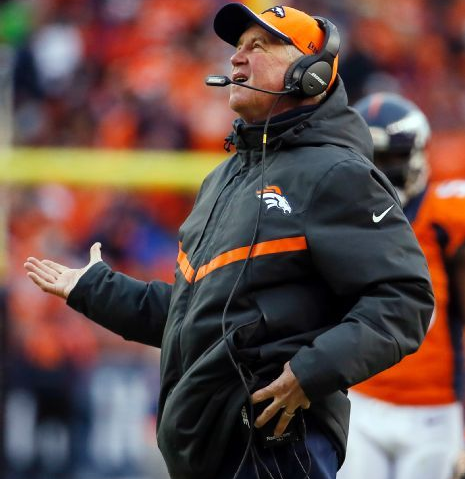 It is not all that often that a team will go their separate ways with their head coach when said coach has led them to four straight division championships and a Super Bowl appearance but that is the situation in Denver as the Broncos more-or-less fired John Fox yesterday as first reported by Jay Glazer. The move comes on the heels of the team going one-and-done in the playoffs as they got knocked out at home by the Colts on Sunday, hours after Glazer reported that Fox could get the ax should Denver lose. Now while I can see why they would be disappointed in how their season ended after the team spent plenty of coin in the offseason upgrading the defense and aiming to win the Super Bowl, I think this is a mistake. The Buffalo Bills have found their new head coach following the stunning departure of Doug Marrone and it is a bit of a familiar face: Rex Ryan. Ryan, who was fired on Black Monday by the New York Jets following a disappointing 4-12 campaign (the team's fourth straight out of the playoffs), becomes the first newly hired head coach in the NFL this year. After pulling the relatively rare move of changing teams within the same division, can Ryan be the first coach to lead the Bills back to the playoffs since Wade Phillips in 1999 and end the longest current playoff drought in the league? Here's my take.